Simple worksheet for beginners. 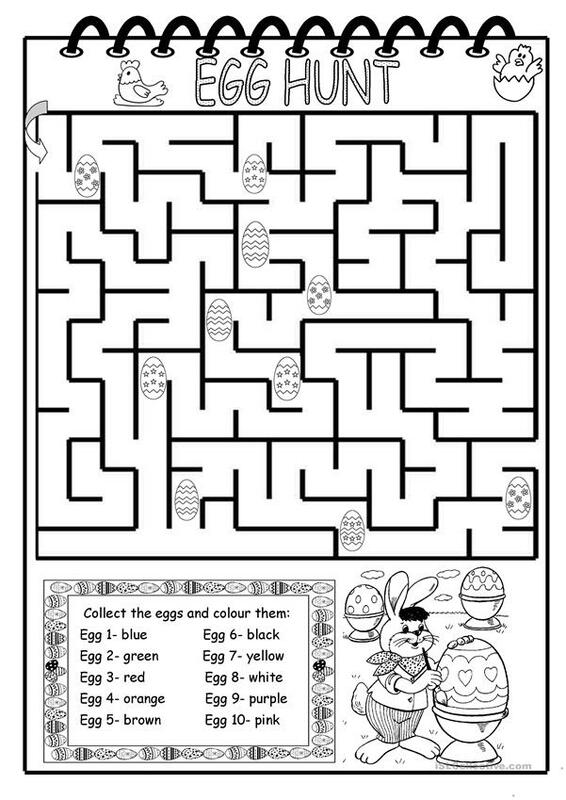 Children find their way through the maze, "collect" the eggs and then they colour them in the correct order according to the colours given. This printable, downloadable handout is a great resource for elementary school students, kindergartners and nursery school students and students with special educational needs, learning difficulties, e.g. dyslexia at Beginner (pre-A1) and Elementary (A1) level. It is excellent for honing your students' Reading skills. It features the theme of Easter. I also share my work at ESLPrintables.